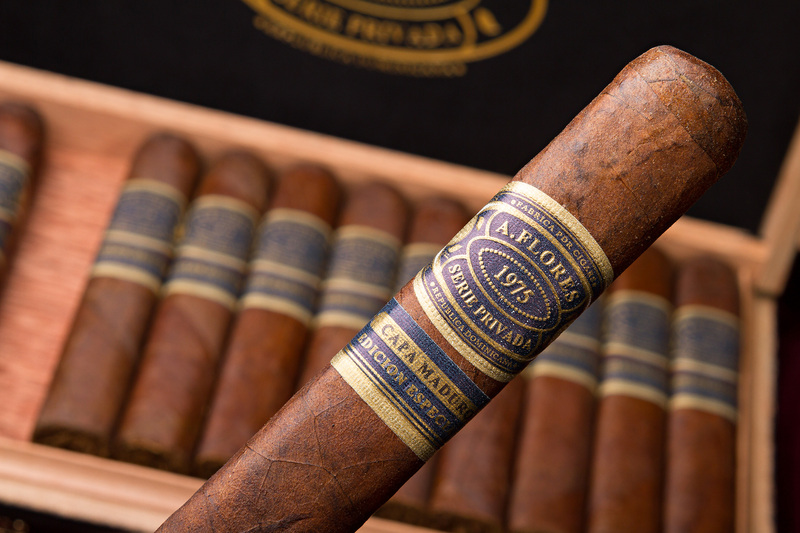 PDR Cigars USA, one of the industry’s premier boutique cigar makers are excited to announce the release of the A. Flores Serie Privada, which will debut at this year’s IPCPR trade show in Orlando, FL on August 2nd. The year 1975 signifies the year that brand owner and master blender Abraham Flores was born. In only a few short years in the industry Flores has grown to be one of the industry’s most sought after cigar makers having put out stellar premium boutique lines such as; PDR Small Batch, PDR 1878, and PDR Reserva Superior. Additionally Flores has made cigars for a myriad of companies which include Ghurka Cigar Group, Cigars International, Famous Smoke Shop, Thompson Cigars, La Palina Cigars, Primer Mundo Cigar Company, and Herrera Cigars to name a few. With an 80 year history the PDR Cigars factory only employs the most experienced rollers and craftsmen. This commitment has served them well. Now in its 8th year of independent operation the PDR Cigars factory has established a solid footing in the premium boutique cigar arena. As an addition to the current line-up the A. Flores Serie Privada will be released with a Habano Ecuador wrapper and a Maduro Habano Ecuador wrapper. Both cigars will be comprised of Nicaraguan Habano binders as well as Nicaraguan Habano &amp; Dominican Corojo filler. The Habano Ecuador is a creamy medium bodied smoke with great complexity while the Maduro is a rich medium to full bodied smoke with a bold profile of subtle spice and light sweetness. “I felt that it was important that the line was representative of the vitolas that I enjoy smoking and offers the consumer a great smoking experience in terms of blend, packaging, and pricing,” Said Flores. The A. Flores Serie Privada are boxed pressed beauties available in 24 count boxes featuring three vitolas: 5×52 Robusto ( SP 52 ), 6×54 Toro ( SP 54 ) , and a 7×58 Churchill ( SP 58 ). The line carries an MSRP range from $9.75 to $12.75 and will be featured at the PDR Cigars booth at the IPCPR convention in Orlando next week. Hello Abe, I have smoked both the Habano and Maduro. When will the full release be announced? I want more, PLEASE. Hi Dennis, for now this is the full line 3 sizes in both wrappers. This blend has surpassed our expectations and we are getting a lot of great feedback on it. We are making it slow to keep consistency, so please be patient with us. Thanks for the kind words! Unbelievable the great smokes you are creating Abe. Cuba has nothing on you. Thanks Danny, we are very proud of the Serie Privada but we are glad you like it! Holy smokes these are the best puffs I’ve had in my quest of finding good cigars. Definitely will get more. I will want a box of these to deflower my future humidor. Happy lights up here in P. Oregon, USA! Christopher, it is a honor to be able to make cigars that we like and even more so that others like. Thanks for the note!